Each year, the International Quilt Association hosts a Celebrity Mini Quilt Silent Auction at International Quilt Festival in Houston. 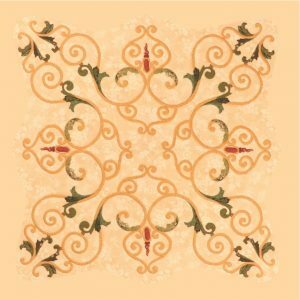 IQA award winners, IQA quiltmaking friends, and Festival teachers are invited to submit a small quilt for auction, with the proceeds going to support the activities of the International Quilt Association. For the third time, the invitation list included me! In 2011, my quilt Flourish on the Vine received the Founders’ Award at the IQA judged show Quilts: A World of Beauty. I thought it would be nice if my entry into the silent auction somehow represented that quilt. 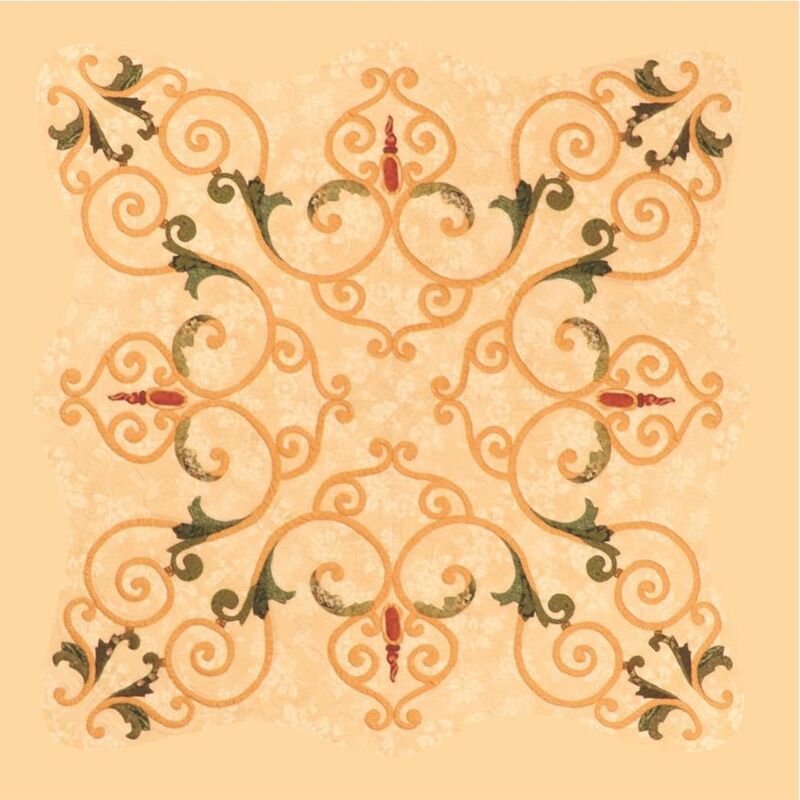 Last year, I created a piece based on the center motif of the quilt. 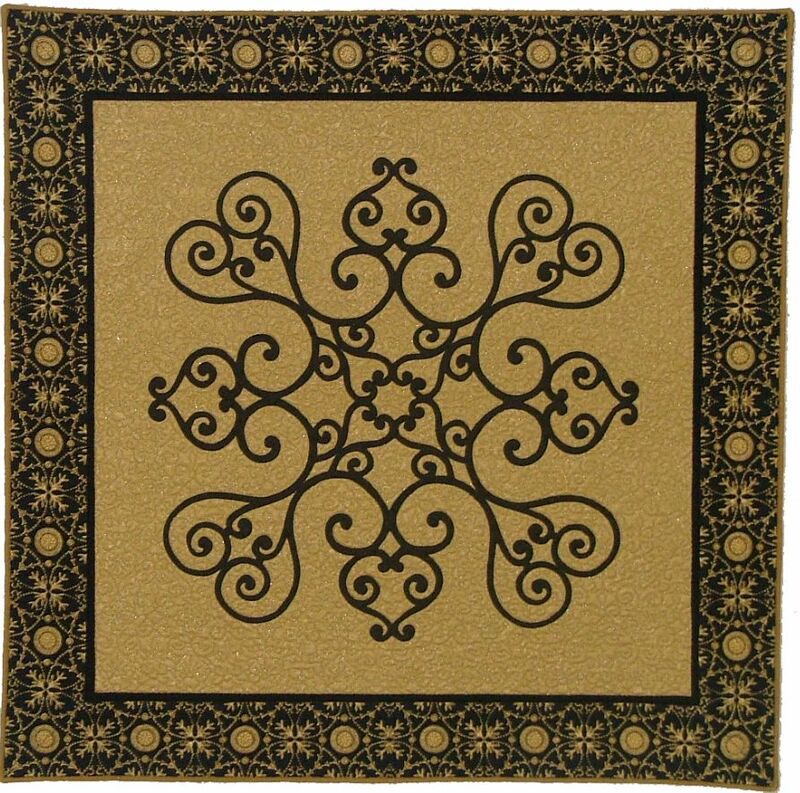 This year, I decided to work with the corner motif. Since this design would exceed the size restrictions, I reduced it and eliminated some of the details. Here is the result. 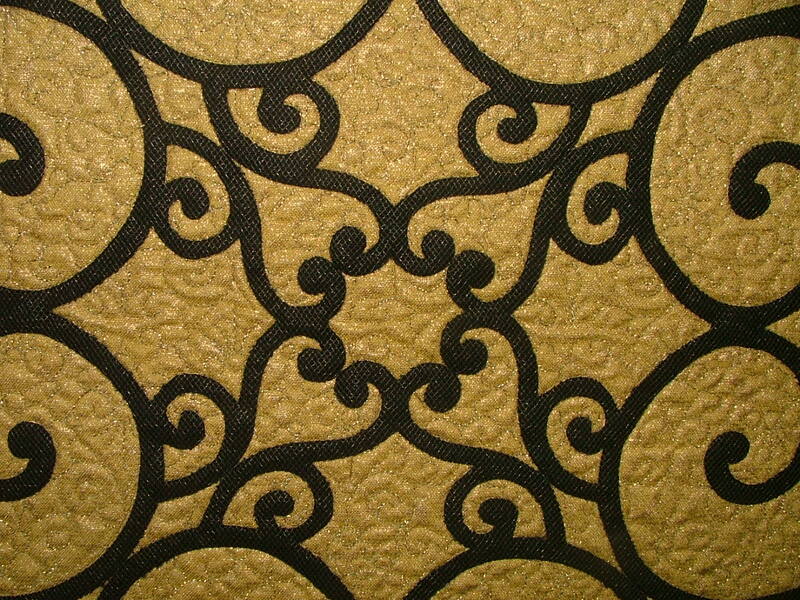 I fused black fabric onto a gold background to create the look of wrought iron. 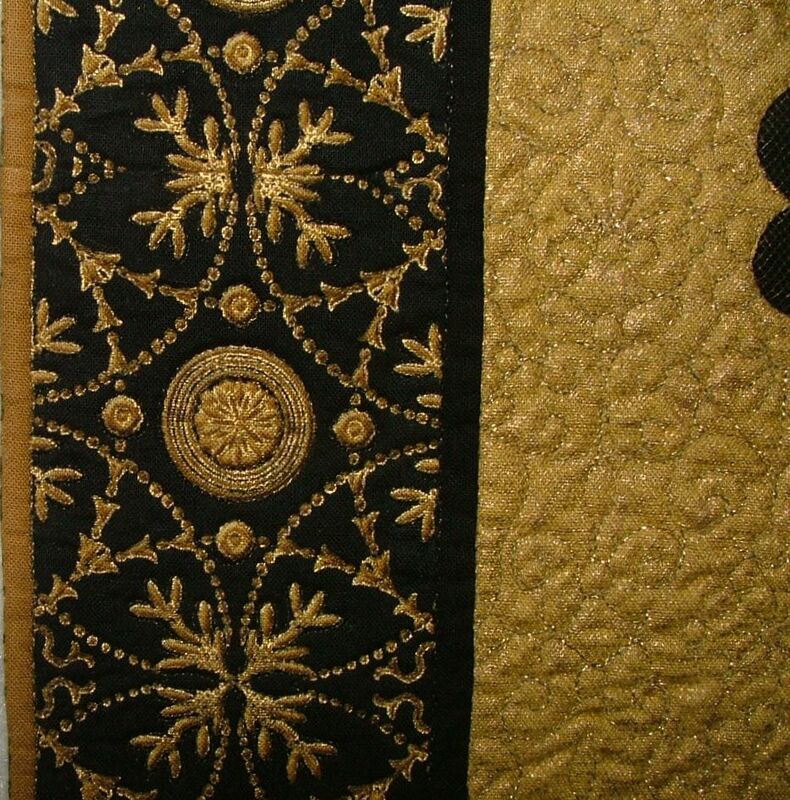 Rather than edge-stitch the fusible appliqué, I covered it with a layer of gold tulle. 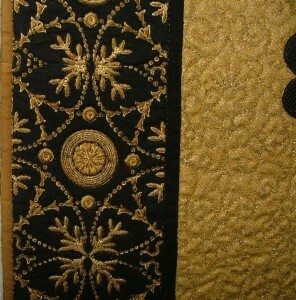 Machine quilting in-the-ditch around the appliqué and all over the background holds the tulle in place. The 22″ x 22″ wall quilt is finished with a border stripe, taken from Hoffman Fabric’s “Gilded Holiday” line. 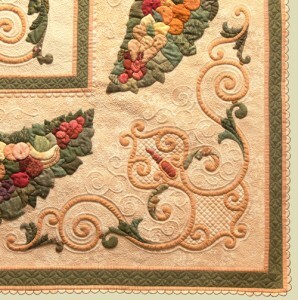 Here is your chance to own a piece of the multi-award winning quilt Flourish on the Vine. 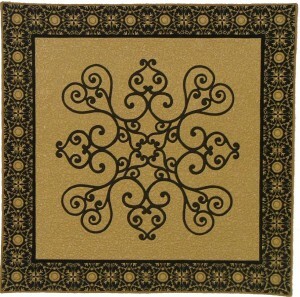 Support the IQA and place your bid at the Celebrity Mini Quilt Silent Auction at International Quilt Festival this week! What a great technique! I bet the tulle gives it a nice sheen in real life. I hope the auction goes well!